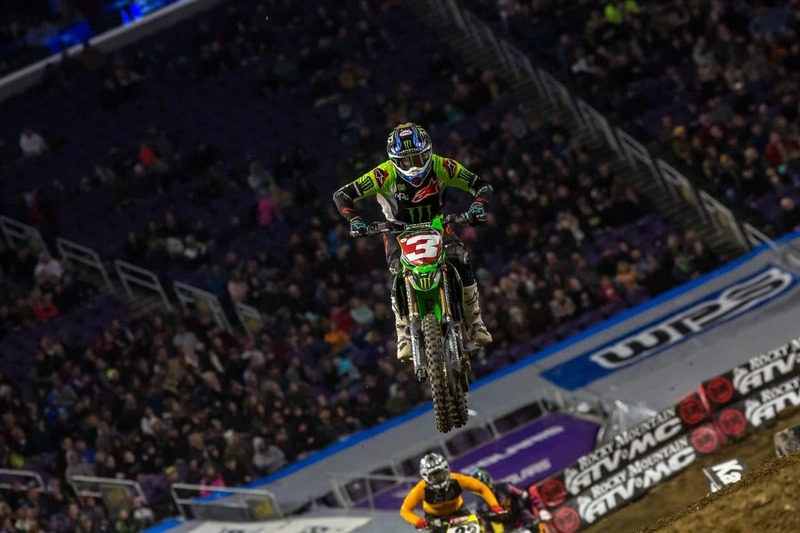 Alex Martin over the back triple. 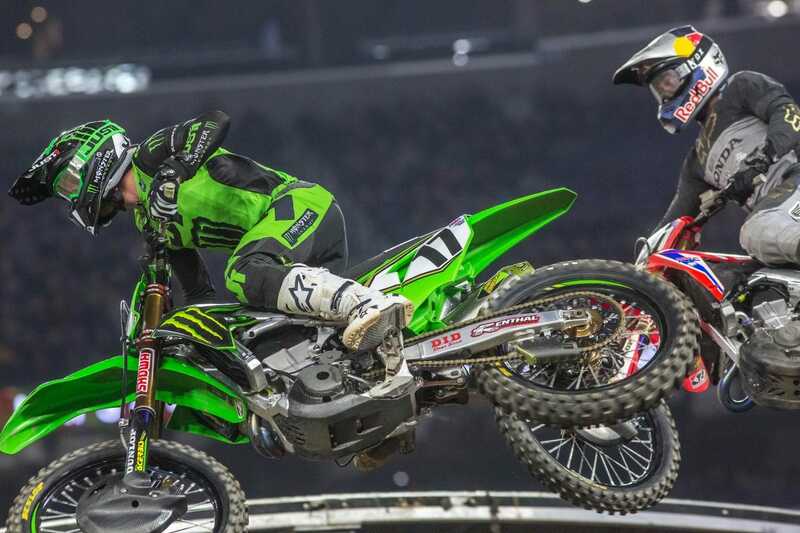 Joey Savatgy and Ken Roczen riding close. 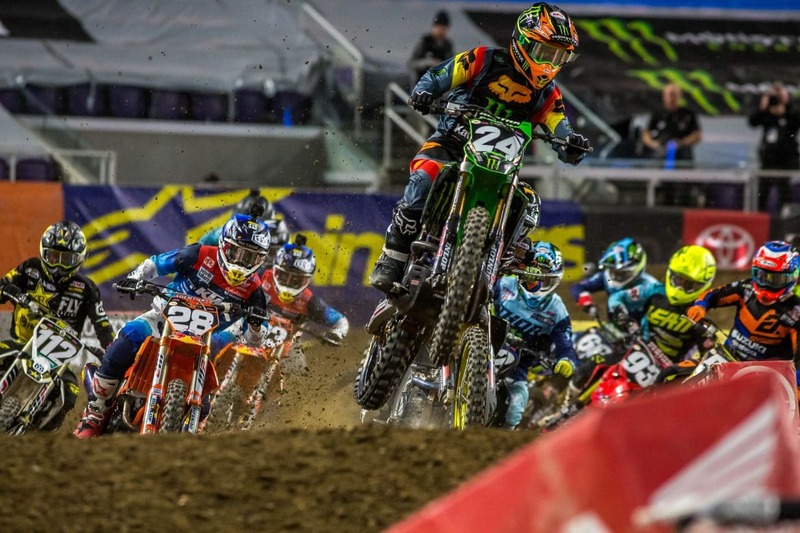 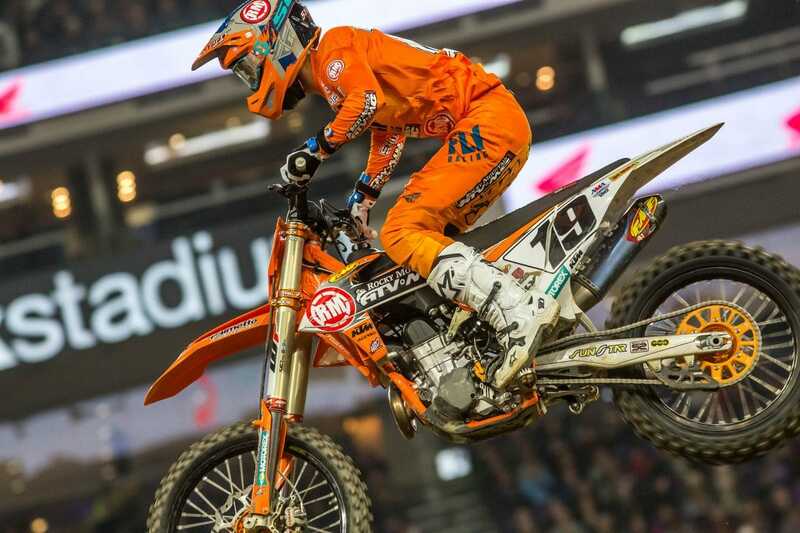 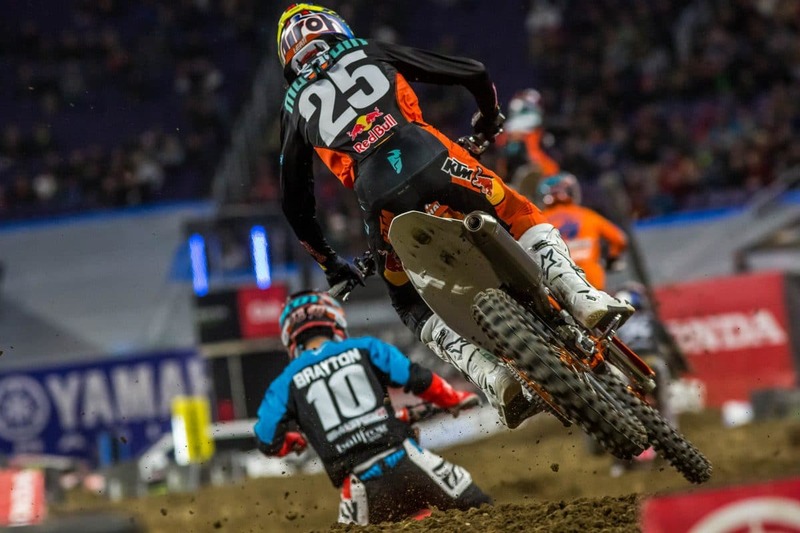 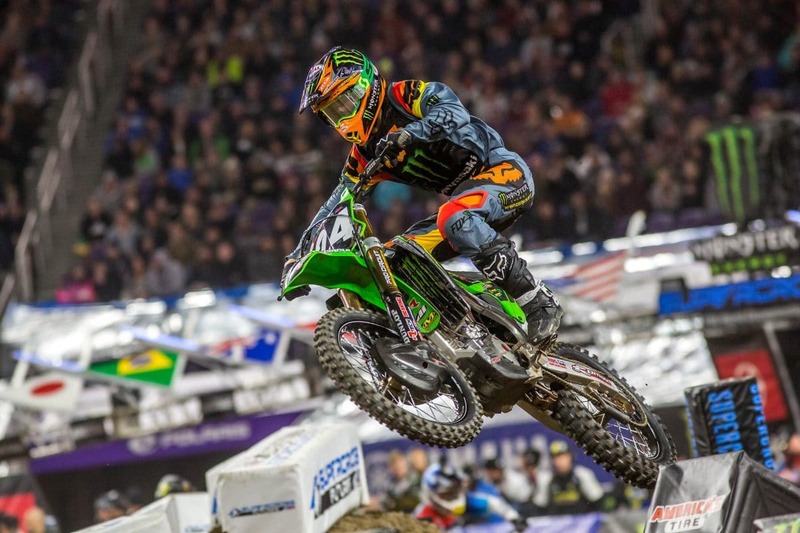 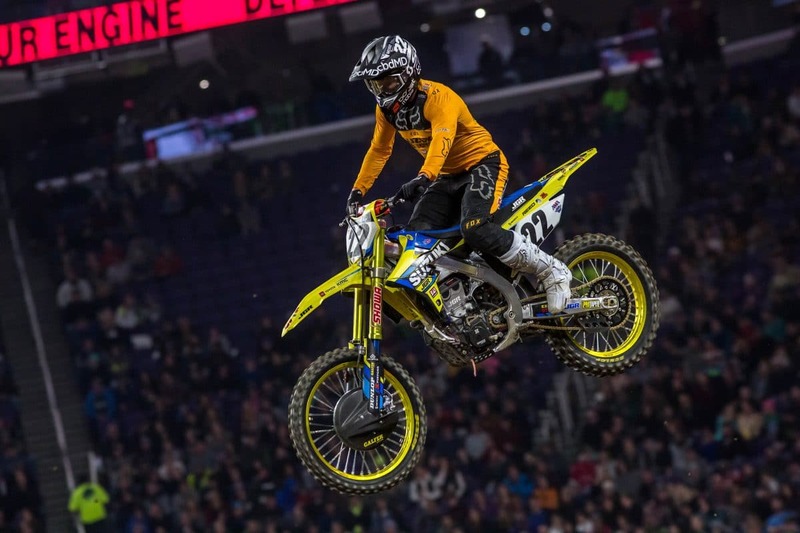 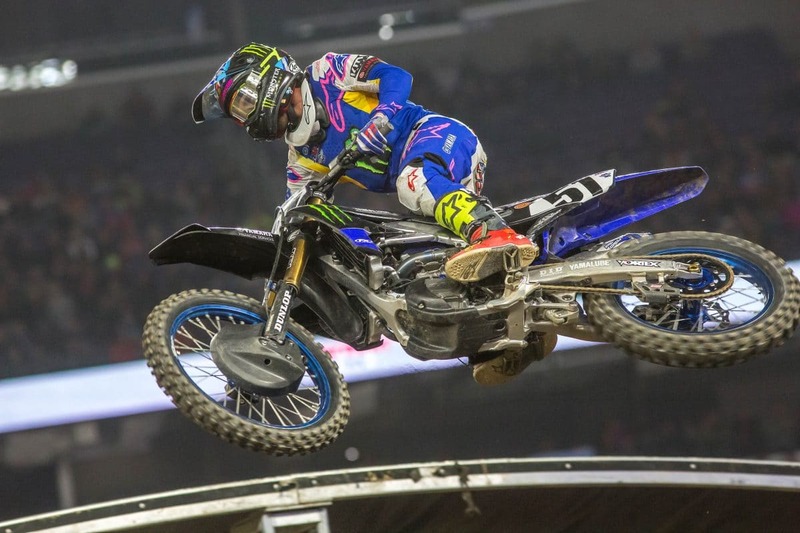 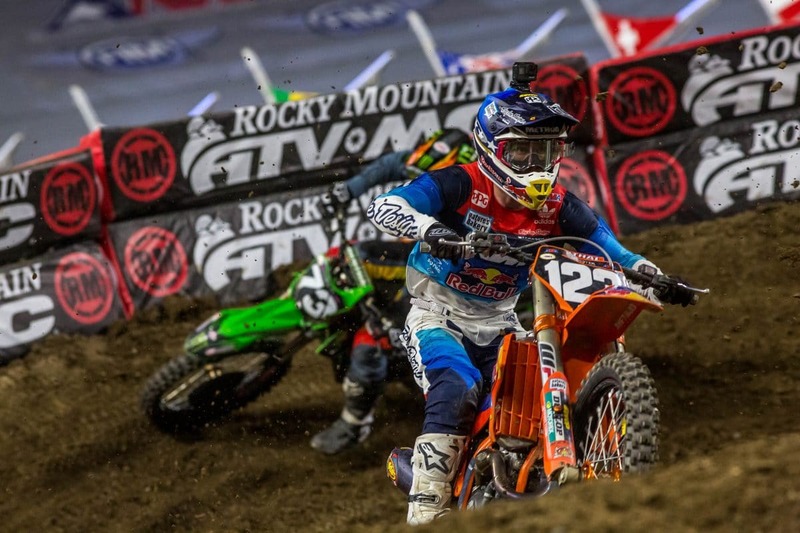 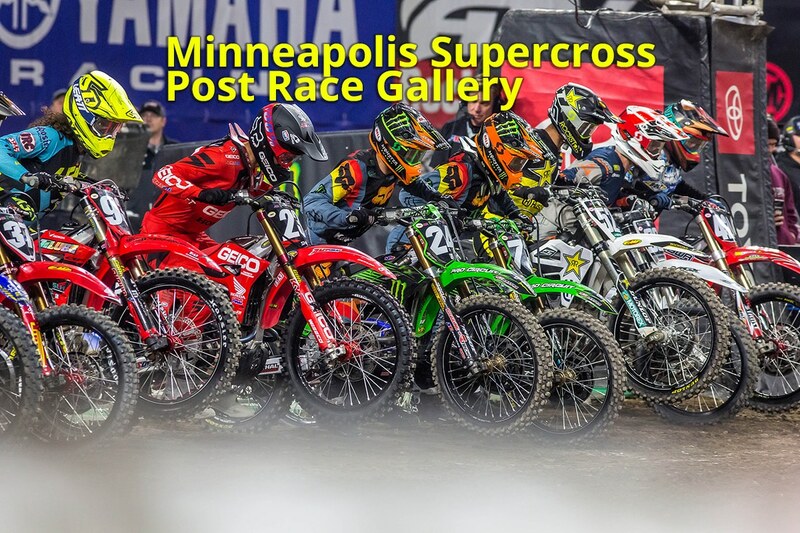 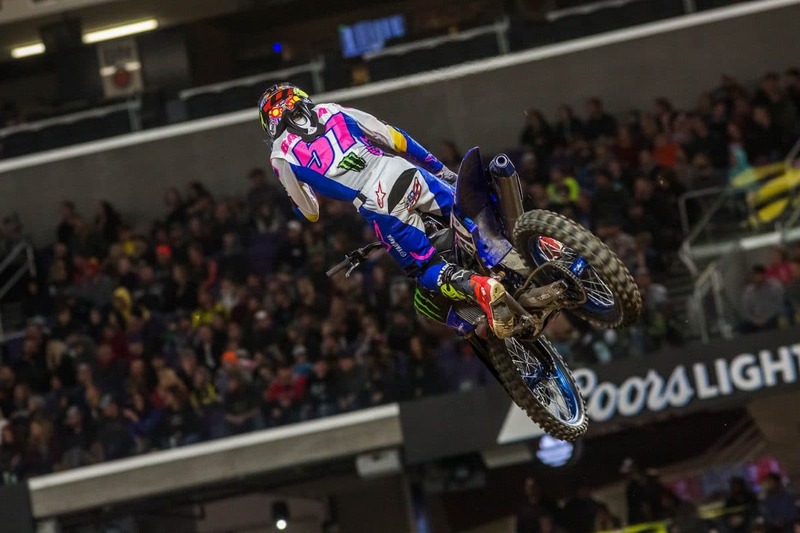 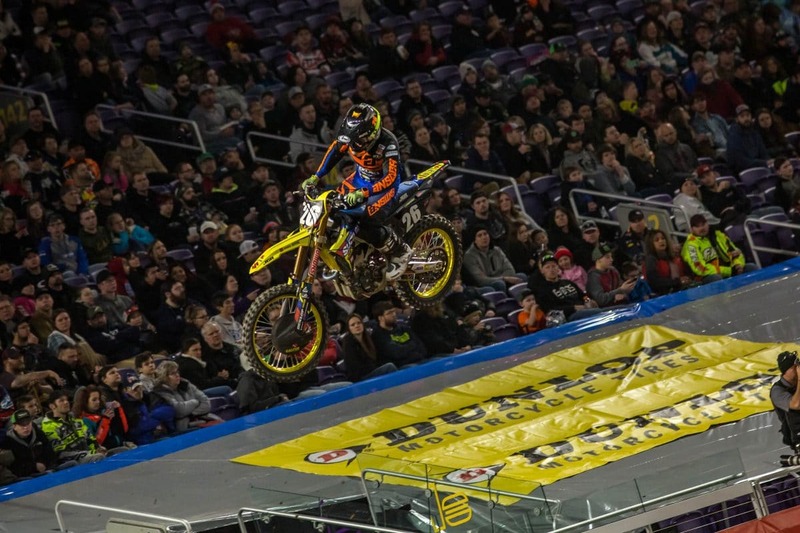 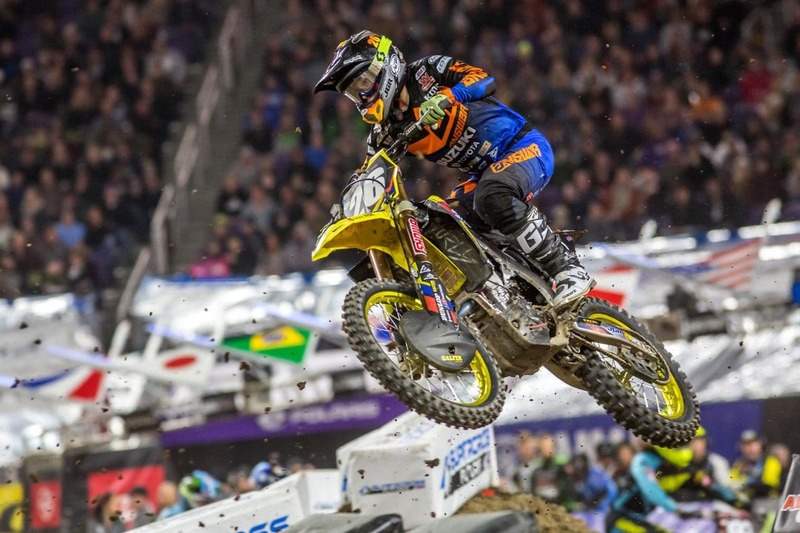 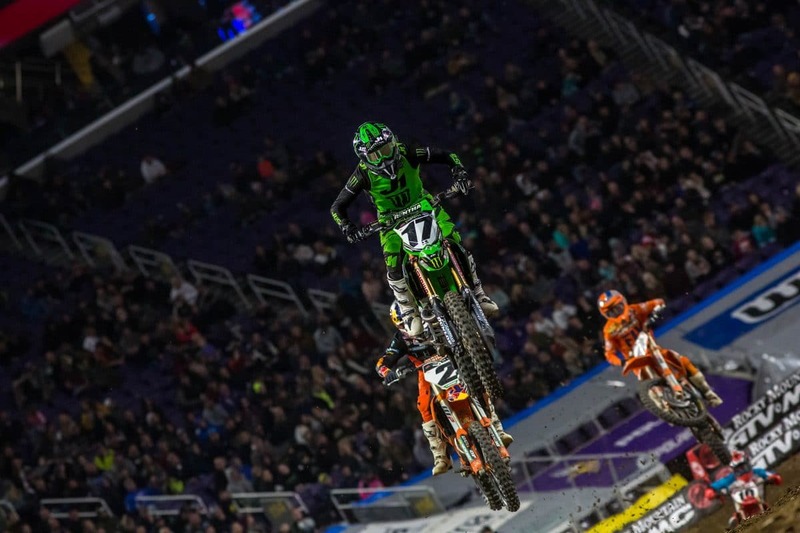 MINNEAPOLIS SUPERCROSS RESULTS: NEW POINT LEADER!